How do stakeholders find and craft win-win lasting solutions that would benefit both migrants, refugees and hosting societies? 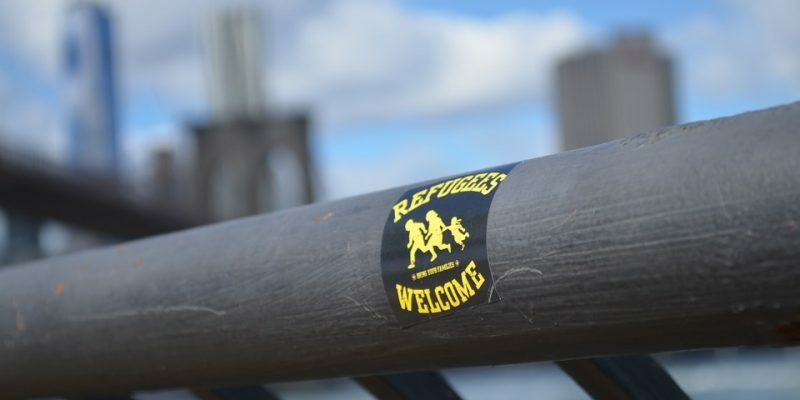 From the UK’s decision to leave the EU earlier this year to November’s presidential election in the US, refugees and the wider subject of immigration have been used as political campaign weapons to polarise public opinion and win votes. The emergence of anti-migrant narratives has threatened to undermine both the EU’s and individual countries’ efforts to promote refugee integration in the face of the worst migrant crisis in recent history. But beyond the heat of the headlines, the longer-term challenge for countries welcoming refugees and migrants remains how to sustainably support them in their new communities. Where are the innovative solutions to integration? And what are cities doing to invest in the future of their new arrivals? From housing to employment, the global migration and refugee crisis presents myriad problems for cities trying to support an influx of permanent or transitory residents. But it also offers opportunities for innovation and investment that can have a lasting positive impact on both local populations and new residents. According to the UNHCR, more than 60 per cent of the world’s 19.5 million refugees and 80 per cent of 34 million internally displaced people live in urban environments. While cities offer newcomers anonymity and opportunities to build a new future, they can often be hostile environments for vulnerable refugees struggling to find the support they need to navigate new systems or compete for jobs. The UN’s Summit for Refugees and Migrants in September 2016 represented the first attempt by the General Assembly to discuss large movements of refugees and migrants at the heads of state and government level. Seen as a watershed moment, the summit focused on strengthening governance of international migration and creating a more responsible system for responding to large movements of refugees and migrants. At the summit, 193 member states signed up to the New York Declaration, which commits signatories to strengthening the positive contributions made by migrants to economic and social development in their host countries. Signatory states also committed to expanding the opportunities for refugees to relocate to other countries through, for example, labour mobility or education schemes. Three years ago, Welcoming America began research into how US cities were responding to their changing populations and to identify local government’s role in creating a welcoming community that attracts and retains global talent. This included documenting local policies and programmes that helped immigrants integrate into the community and helping longer-term residents connect with and appreciate their new neighbours. The result was the Welcoming Cities & Counties network, which enables US municipalities to learn from and share welcoming approaches with one other. The network has grown from 10 to around 100, from Anchorage, Alaska to Salt Lake County, Utah. Partners include companies and economic development agencies as well as civic organisations such as universities and local YMCAs. Welcoming America’s support for member municipalities includes annual events, webinars and communication campaigns to tackle issues ranging from workforce development strategies to community policing and language access for immigrant entrepreneurs. Downs-Karkos says Welcoming Cities reduces the barriers faced by immigrant entrepreneurs, for example by demystifying regulatory and financing structures or providing access to micro-lending services. The city of Denver in Colorado set up a commission on immigrant and refugee affairs three years ago. Projects include a mini-grants programme, launched in 2015, for local organisations with creative ideas to bring neighbourhoods together. Ten winning projects receive $1,000; this year they included a “movies in the park” night to connect community residents and local businesses, and a digital storytelling project focused on refugees rebuilding their healthcare careers in Colorado and culminating in a public video screening. Enterprise is proving a successful model for integration. Every weekend at north west London’s Queen’s Park Farmers Market, the Spice Caravan stall serves up savoury and sweet dishes hailing from Eritrea, Kenya and Somalia. A catering co-operative founded in 2011, Spice Caravan has grown from a group of six refugee mums cooking at school events, to a successful enterprise supplying the local farmers’ market, private events and festivals. Ayan Hassan, a Somali-born mother of three and a co-founder of Spice Caravan, says a large part of its success is due to the support of Salusbury World, the UK’s only refugee centre within a school (Salusbury Primary). Established in 1999, the charity helps children and families adjust to UK life through after-school clubs, English classes, mentoring and community activities. As well as providing Spice Caravan with kitchen space and start-up funding of £500, Salusbury World also helped the women to access training in business planning and food hygiene. Salusbury World manager Sarah Reynolds says schools can play an important role as mediators between local communities and new arrivals, as they know and have the trust of the local community. The charity’s work across four schools and colleges supports around 200 children and young people and 250 adults each year. Salusbury World is part of a new network of groups supporting young refugees in north London, which Reynolds hopes will help to join up services and address needs more effectively. Writing earlier this year, Judith Sunderland, associate director for Human Rights Watch’s Europe and Central Asia division, remarked that the integration debate has often been “fractious”, pitting those who favour more assimilationist policies against those who argue for variations of multiculturalism and protection of cultural diversity. Sunderland identifies the main stepping-stones to successful integration as legal status, appropriate accommodation, access to employment and education (including language classes), and family reunification. Starting in 2016, the Migration Policy Group is the coordinating research partner for a six-year long monitoring of refugee integration in 14 EU member states. The National Integration Evaluation Mechanism (NIEM) evaluates policies according to the needs and situation of beneficiaries of international protection and asylum seekers. Assessments completed in 2017, 2019 and 2021 will contribute to national and European debates on improved refugee integration and provide governments with evidence for more efficient and effective policies. Private sector involvement and investment is essential to the mix. In Germany, With Migrants for Migrants (or MiMi by its German acronym) is an integration programme that recruits bilingual individuals from within immigrant communities to become cultural mediators who can make the German health system more accessible to immigrants. Emerging from a public health project by Ramazan Salman, a Kurdish immigrant from Turkey, MiMi trains these mediators to support campaigns from alcohol abuse to vaccination. It says some 1,000 mediators have reached over 32,000 migrants. Salman claims the small annual budget (euros 1.5 million) reaches more immigrants than his state-run competitors. The first event of the Cities For All project by CILD and Humans on the Move (in partnership with Impact Hub Milan and in collaboration with the City of Milan) took place on 16 December. More information here. This entry was posted in Migration, Refugees & asylum seekers and tagged asylum seekers, integration, Migration, refugees. Bookmark the permalink. ← Brexit and beyond: What will the UK out of Europe mean for migration?